Our Club 90th Birthday Celebrations! Join us as we celebrate our 90th birthday. 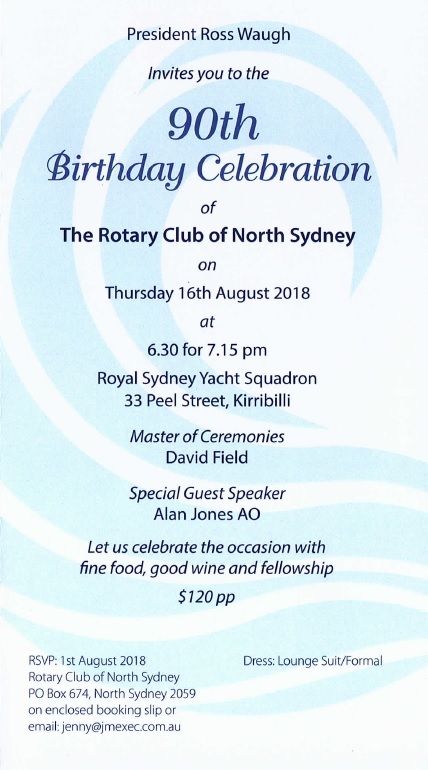 With our special guest speaker, Alan Jones AO, this is sure to be a memorable day!